By Ralf Baron, Morsi Berguiga, Jaap Kalkman, Adnan Merhaba, Ansgar Schlautmann and Karim Taga, Arthur D. Little. Image from pixabay. More and more cities are going “smart” as a response to some of the world’s biggest challenges. The best cities put their citizens at the center of their strategies, enriching the quality of their lives. This unstoppable trend is driving double-digit growth in a trillion-dollar global market. 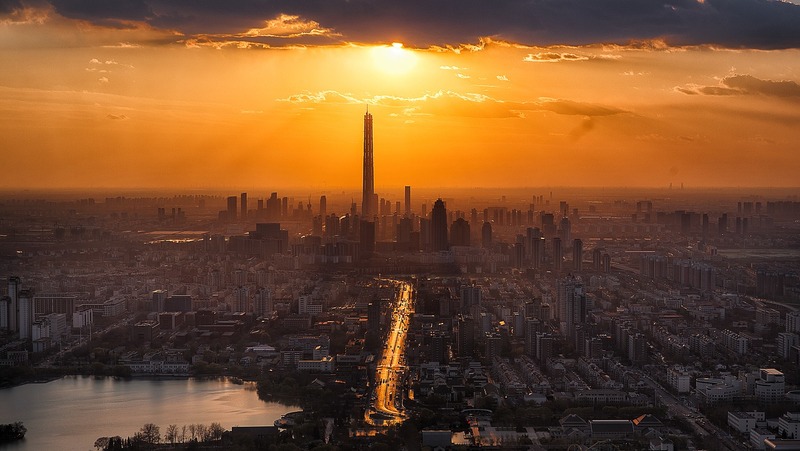 The uncontrolled and exponential growth of metropolises around the world has led to developments that put mega-cities at risk and turn them into places that, at best, can be difficult to live in and, at worst, could severely limit the world’s future social and economic viability. In 1990 the world had 10 “mega-cities” – those with 10 million inhabitants, equivalent to the population of Greece. Today the number stands at 28, and by 2030 the world is projected to have 41. Population growth puts a strain on infrastructure, leading to traffic congestion, delays, inefficiencies and a lack of affordable housing. In addition, cities are associated with higher crime levels due to the higher concentration of valuable items they contain, as well as the ease of anonymity. With the digital age, new threats are emerging, such as identity theft through wi-fi hotspots and portable contactless card scanners used by thieves on underground railways. Studies have found that urban dwellers are subject to higher stress levels and less healthy diets, and lack greenery and physical activity. This makes them more vulnerable to obesity, diabetes, depression, arthritis, heart disease and cancer. The release of greenhouse gases not only damages the environment, but also induces illness and causes more than 3 million premature deaths worldwide every year. Eighty percent of the world’s cities with more than 100,000 inhabitants do not meet WHO air-quality guidelines. A smart city uses modern technologies and innovative policies to meet the demands of its citizens. Through the provision of more accurate and readily available data it allows communities and government bodies to make informed decisions. Smart-city processes must have a positive impact on the local community in terms of efficiencies, innovation and resource allocation. Leading smart cities have policies and strategies that place the individual citizen at the center, improving the quality of life and comfort of users. Smart-city technology and policy innovation can be conveniently grouped into 10 verticals: energy, transport & logistics, security, PPA, medical & health, building automation, communication services, education, financial services and tourism & retail. In many cases, the private sector is already active and offering solutions within and sometimes across verticals. This especially happens in areas where the business case for particular solutions is clear. However, in other cases, where the business case is less clear, cities have stepped in to create environments and infrastructures in which private sector companies can profitably participate. Which cities are front runners? Many indices have been developed to measure the “smartness” of cities. Examples include the IESE Cities in Motion Index (IESE Business School), Innovation Cities Index (2thinknow global innovation agency), and Smart City Index Master Indicators Survey (Boyd Cohen, Universidad del Desarrollo & Fast Co, ESADE Institute for Public Governance and Management). These indices and many others measure how “ready” or “mature” cities are regarding their status and/or ability to become “smart,” in general or with regard to selected vertical-industry segments. To provide a more holistic view, Arthur D. Little has developed a combined index based on existing indices, economic/socio-demographic sources and our expertise from consulting on various smart-city projects around the globe. In our ranking, Nanjing, Barcelona, London, Rio de Janeiro, Seoul, Dubai, Copenhagen and Manchester come out on top in the “Platform” stage. These leading cities follow an integrated approach, enabling service providers to use a common open platform through which services and data can be offered to, and shared with, governmental bodies and businesses, as well as citizens and visitors alike. Cities in the “Vertical” stage have launched projects across verticals, including sub-platforms such as mobility-, water- and waste management platforms. The vision to move towards a citywide platform approach is, to a large extent, communicated but not yet realized. Cities in the “Pilot” phases have launched projects in individual verticals, but a cross-vertical platform approach has not yet been achieved. Cities in the “Marketing” phase (such as in Africa and India) have just announced their smart-city visions and strategies. Our analysis has shown that that leading smart cities share a clear vision, a long-term strategy and strong governance, and a horizontal, open platform to enable the creation of new, cross-vertical business models. Today’s leading “smart cities” not only understand that “openness,” “integration” and “interoperability” will be key ingredients for leading smart cities in the future, but also that revenues will predominantly come from new business models focusing on service enablement and provisioning for its citizens and businesses. Smart cities are the new battleground for convergence across industries. Companies will need to step outside their comfort zones in order to leverage the billion-dollar opportunities that arise from the ambitions of cities to become smarter and more sustainable, with cross collaboration and creation of effective technology ecosystems being key for success. For those that are able to step up to the challenge, the rewards are likely to be significant.